If the sale is completed and approved by the California Transportation Commission, the County’s Department of Parks and Recreation plans to work with Spring Valley residents to determine what kind of park may be built there. SAN DIEGO — San Diego County’s Board of Supervisors took a step toward creating a new park for Spring Valley residents Wednesday, voting to spend $6.4 million to buy nine acres of potential park land in the community. The vacant land belongs to the California Department of Transportation. If the sale is completed and approved by the California Transportation Commission, the County’s Department of Parks and Recreation plans to work with Spring Valley residents to determine what kind of park may be built there. The department reported Wednesday in its Board letter the Spring Valley Community Planning Group, an advisory group, indicated that its top parkland priority was to buy the land to create a park and community sports complex. 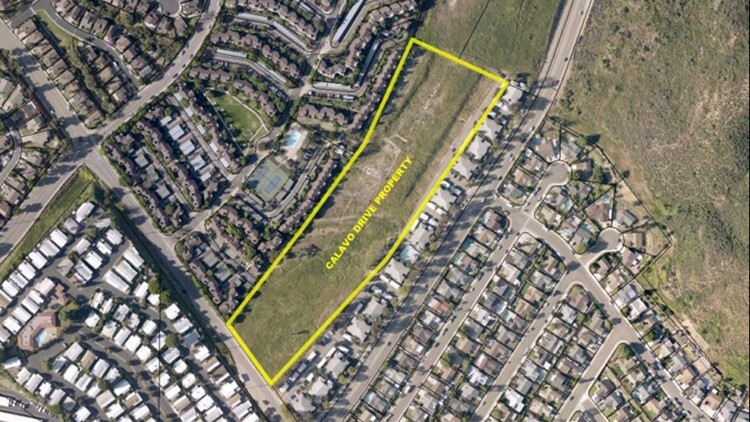 The 9-acre site is located on Calavo Drive, north of Jamacha Road in Spring Valley. In its letter to the Board, Parks officials said the property is considered a potential park site because it is big enough, undeveloped, relatively flat, accessible from major roads in Spring Valley, located close to schools and homes and has potential for trail connections. The Board directed County staff in January to explore the idea of buying the land with the possibility of developing a public park or multi-use sports facility.